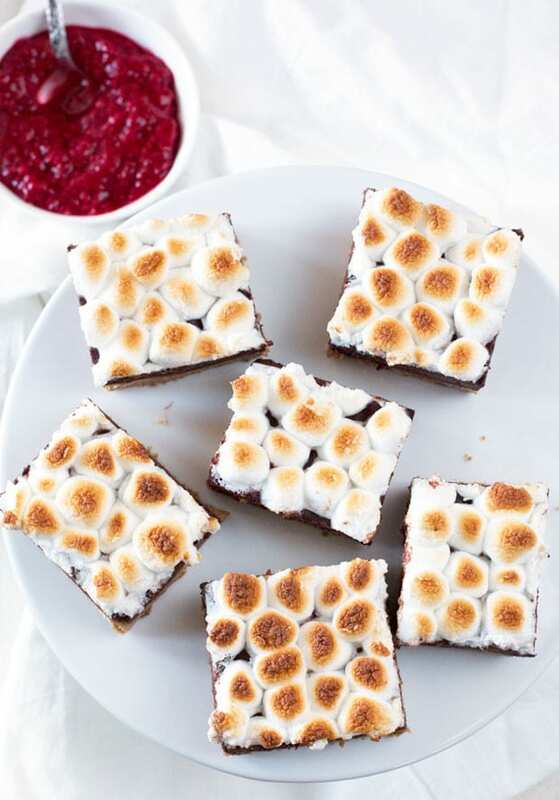 Raspberry S’mores Bars are my excuse to have s’mores year round, especially when I don’t have a fire (or gas stove) handy. The raspberry dark chocolate ganache is the fruity chocolate indulgence you’ve been craving. Do you ever just take a moment to reflect on your overall ridiculousness and say to yourself, ‘danggggggg girl… You’re a special kind of special.’ Well, or guy for those of you men out there who can relate. I think I might spend too much time on social media. There are times when I say that I’m a special kind of special in a really good way though! Particularly when I just nail a recipe that I’ve been mulling over in my head for weeks. 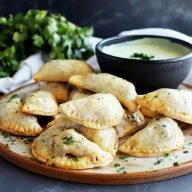 Sometimes those recipe ideas just stick in the back of my head until I finally get around to making them. 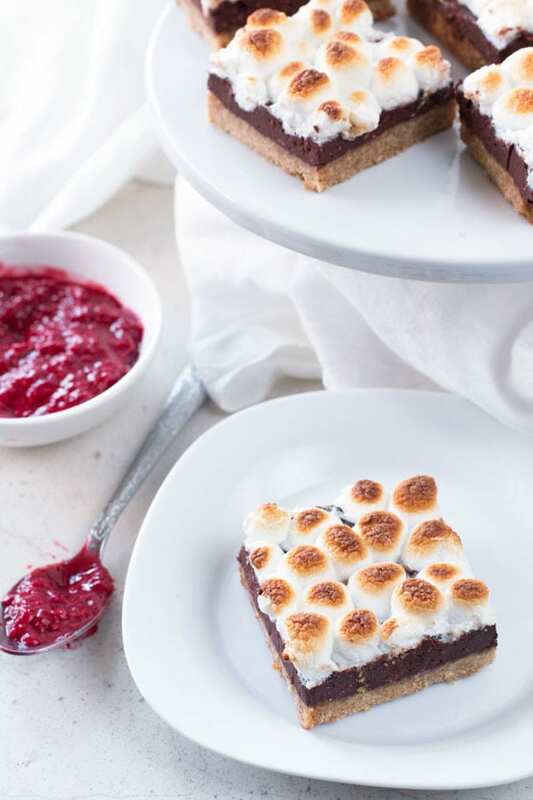 These raspberry s’mores bars were exactly that recipe for me for about the past month. When I could finally sit down to make them, well, holy crap. I am on the verge of saying that this would be the only s’more I ever eat for the rest of my life if I had it my way. 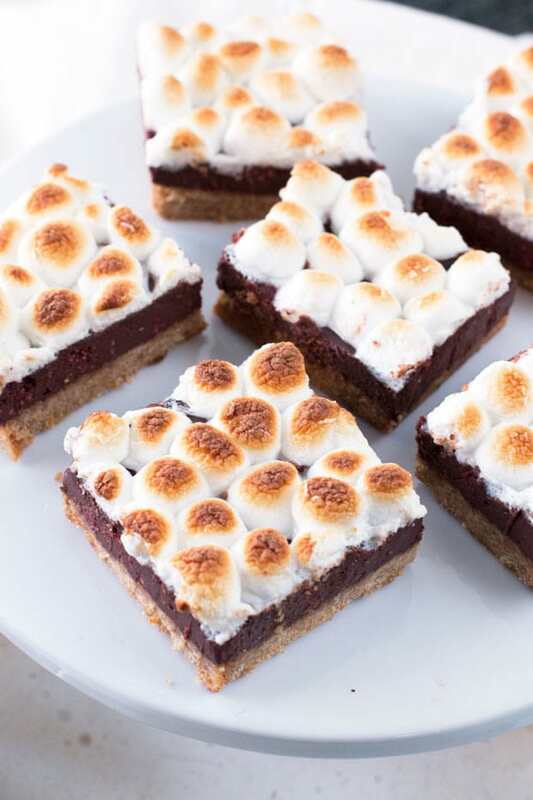 I mean, at the end of the day, it’s chocolate, marshmallows and graham crackers. It’s pretty difficult to go wrong there. 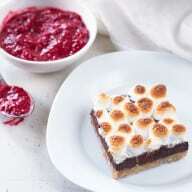 Decadent, indulgent, and with just the right amount of fresh raspberry puree, these s'mores bars are over-the-top delicious. Preheat oven to 350 degrees. Grease an 8x8 or 9x9 pan; set aside. 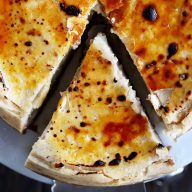 In a large bowl, combine graham crackers, brown sugar, and unsalted melted butter. Stir to combine, until the graham cracker crumbs are moistened. Press the graham cracker mixture into the baking pan firmly, creating an even layer. Bake for 8 to 10 minutes and cool completely. 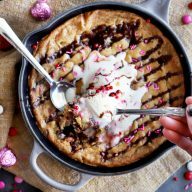 In a small saucepan, heat heavy cream over low heat. When the cream is hot, pour over chocolate in a medium bowl. Let sit for 1 minute, then stir until smooth. 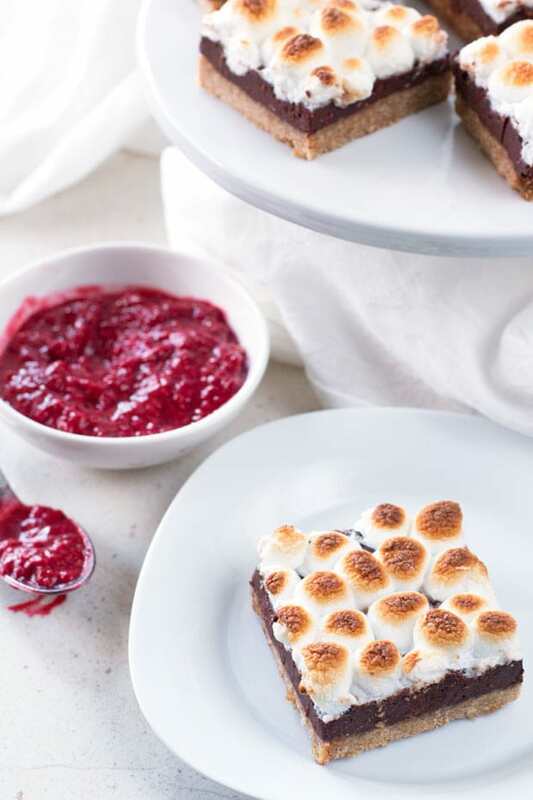 Stir in the raspberry puree, then pour the raspberry ganache over the graham cracker crust. Sprinkle the mini marshmallows on top of the ganache (or if you have time and patience, make pretty perfect rows of marshmallows). Broil on Low until the marshmallows are toasted (I don’t give a time here because every oven is different, just watch them until they are toasted!). Refrigerate for at least 4 hours until the ganache is set. Cut and serve.